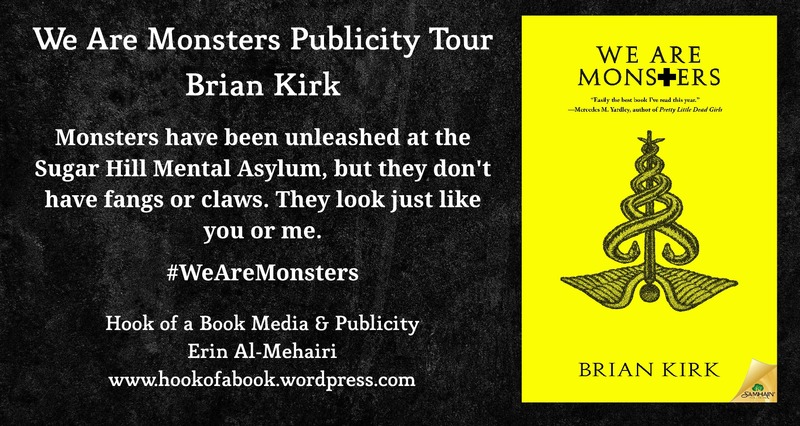 We Are Monsters/Brian Kirk Publicity Page | Oh, for the HOOK of a BOOK! 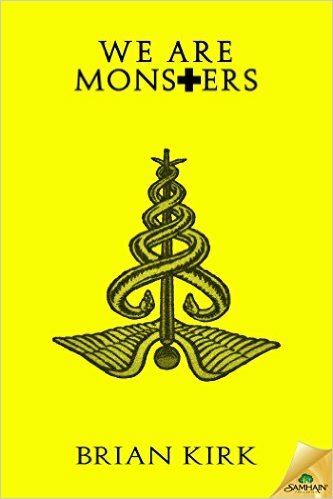 Welcome to the publicity page for We Are Monsters (Pub: July 7, 2015, Samhain Publishing) by Brian Kirk, created and managed by Erin Al-Mehairi and Tim Busbey of Addison’s Compass Public Relations and Hook of Book Media and Publicity. We are so glad you’ve stopped by, but be sure to pop in periodically for news and updates ongoing! The book tour publicity schedule will be updated BELOW each day. Be sure to check out the giveaway below for a $25 Amazon Gift Card! Follow along this publicity tour online using #WeAreMonsters hashtag! Stops will be added as needed. If you’re interested in reviewing this book or an interview with Brian Kirk, please contact Erin Al-Mehairi, publicist, at hookofabook@hotmail.com as soon as possible. Luckily he’s in good hands. Dr. Eli Alpert has a talent for healing tortured souls. And his protégé is working on a cure for schizophrenia, a drug that returns patients to their former selves. But unforeseen side effects are starting to emerge. Forcing prior traumas to the surface. Setting inner demons free. Brian Kirk lives in Atlanta with his beautiful wife and rambunctious identical twin boys. 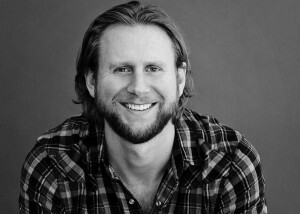 He works as a freelance writer in addition to writing fiction, and is currently working on the second book in a planned trilogy. We Are Monsters is his debut release. Feel free to connect with him online. Don’t worry, he only kills his characters.